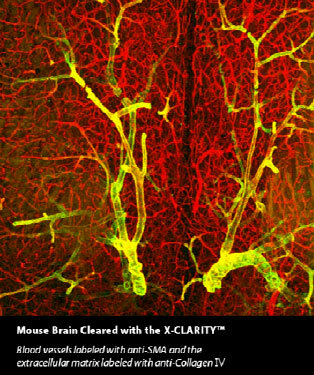 Imagine an imaging system that can image tile an entire organ using dual MPE excitation up to 1mm in depth then slices your sample at your pre-determined depth and image again. Your slices are automatically mounted onto a slide for later analysis. 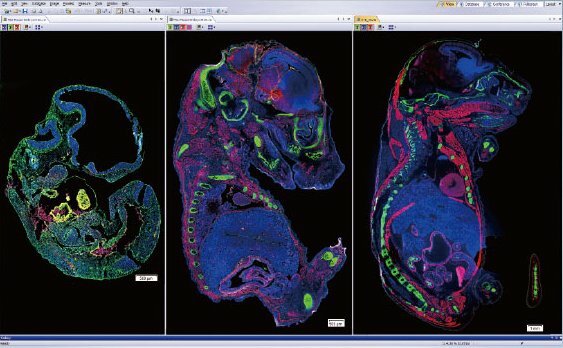 You receive a high resolution 3D image of your entire organ with all your samples mounted on slides. It's happening! We are getting the TissueCyte soon! The Leica TCS SPE is a prism-based spectral detection system. It has a highly dynamic PMT that offers extraordinary signal efficiency for gapless detection of weak signals. A variety of robust solid-state lasers allow the use of a broad range of common dye. The FV1000 Confocal Microscope is a spectral collection system with motorized stage for multi-point tiling. Excitation laser lines are 405nm, 440nm, 488nm, 515nm, 559nm, 635nm. Objectives: 10x air 0.4NA, 20x air 0.75NA, 40x oil 1.3NA, 60x oil 1.42NA, 100x oil 1.4NA. Variable Band pass filter for channels 1 &2. Spectral channels collect emission passed through a prism then a slit that can be adjusted to 1nm. The confocal has a Tokai Hit environmental chamber (heat, humidity and CO2 control) as well as silicone lenses (60x NA1.3, 100x NA1.35) for long time series experiments. See Live Cell below. 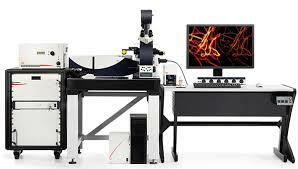 This is a multi-modal microscope configured around the Andor Revolution Spinning Disk confocal system. The Yokogawa spinning disk and frame transfer camera are optimized for fast time lapse imaging and optical sectioning of specimens. 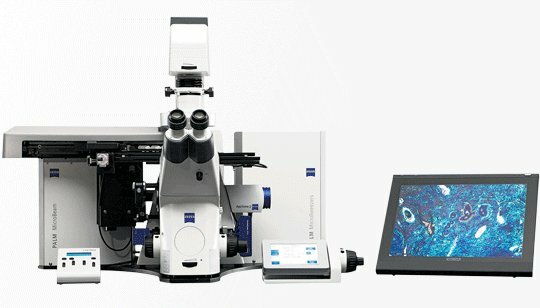 The Zeiss LSM 510 microscope has three visible wavelength lasers, a Coherent Chameleon™ Multi-photon Excitation (MPE) laser tunable from 720nm – 930nm a META spectral emission detector and 4 NLOs (external detectors). The Chameleon™ provides widely tunable femtosecond pulses with more than 1W of average power. This upright system is a dinosaur but it has great objectives: Contact us if you want to use it. 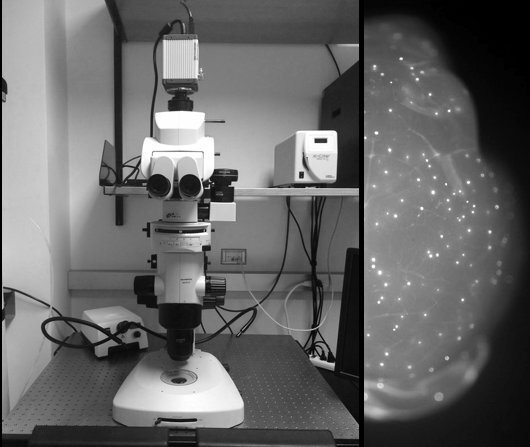 The bidirectional triple light sheet technology of the UltraMicroscope II generates 6 focused light sheets to excite samples from the side while the fluorescence light is detected by a sCMOS camera perpendicular to the illumination plane. Moving the sample through the light sheet generates a 3D image stack. 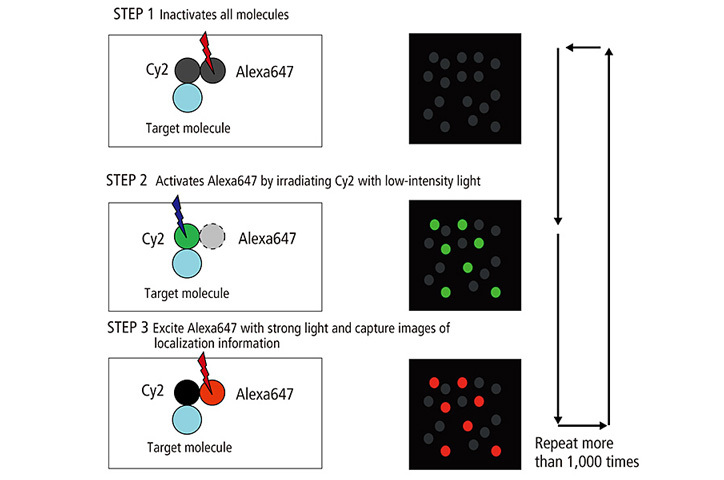 Selective excitation of the focal plane reduces bleaching and photo toxicity significantly. The open setup allows the analysis of cleared samples in any clearing solution or in aqueous media with and optical zoom from 1.26x to 12.6x . The system can handle samples up to 30 mm x 30 mm x 15 mm in size. The facility houses 2 Olympus VS120 slide scanners that has been specifically designed for high throughput facilities that require fast scanning speed and high image resolution. The VS120-SL 5 Slide System holds 5 slides at a time making it quicker and easier to archive slides and produce permanent records. Imager can scan in 10x, 20x, and 40x. 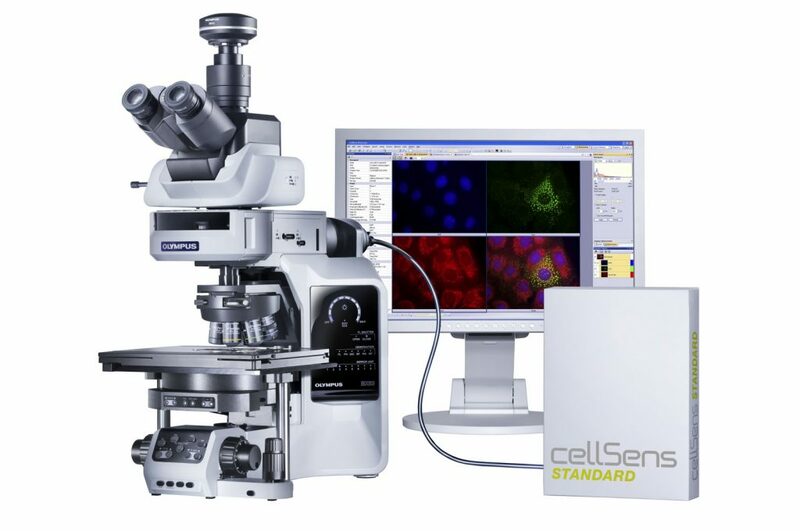 The systems have 2 cameras to collect Histolo or Immuno staining. One system has an Orca R2 monochrome (16 bit) camera for fluorescence and the other has a XM10 monochrome (14 bit) camera for fluorescence. Both systems have the same color camera for histology sections. Using an Olympus IX71 inverted microscope we can resolve particles beyond the diffraction limit of light with covalently paired dyes (provided). STORM is limited in depth penetration (similar to TIRF). Lasers Lines: 405nm, 543nm, and 640nm. The images can be acquired with or without a donor. PALM CombiSystem combines two non-contact laser technologies in one system. 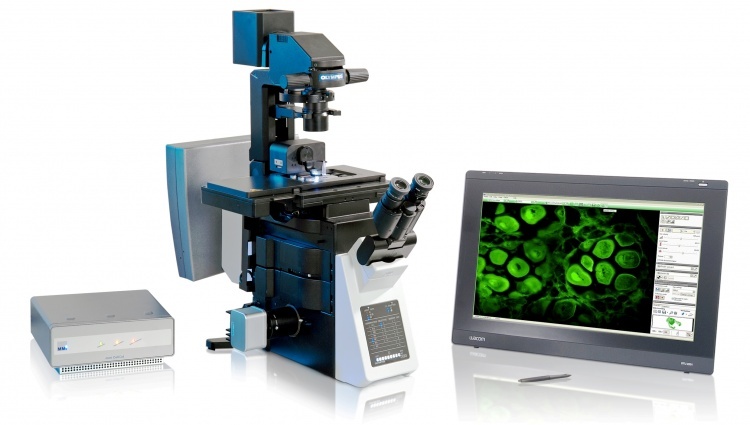 It allows you to precisely microdissect and capture samples of interest and to optically trap small objects, such as living cells. PALM CombiSystem combines laser microdissection with optical trapping. For laser microdissection mark an element on your screen and then start the laser to separate it from unwanted tissue. A targeted laser pulse will ‘catapult’ your element upwards and contact-free into a collection vessel for further analysis. The optical trap of PALM CombiSystem manipulates particles with the highest precision at the cellular and sub-cellular level. This allows you to trap, move and position microscopic objects — such as red blood cells and bacteria — intuitively with the force of light. The MMI CellCut Plus in on Olympus IX83 inverted microscope. It was designed for the quick and precise isolation of cells and tissue. A wide variety of sample types including fresh frozen, paraffin embedded, archived slides, cytospins, smears and live cells can all be used for diagnostic purposes. 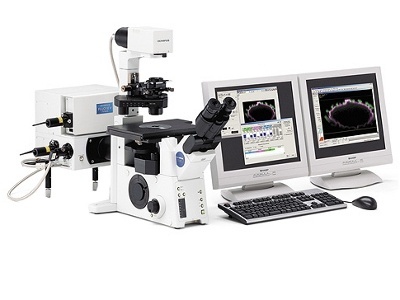 This system is equipped for H&E histology stains and immunostaining. 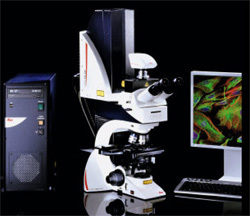 The Olympus BX63 automated microscope is designed for brightfield, DIC and fluorescence staining. The system holds a 2x, 10x, 30x, 40x, and 60x objective with DAPI, GFP, TdTom, Cy5.5 filter cubes. This system can capture multiple channels of flourescence and can tile. 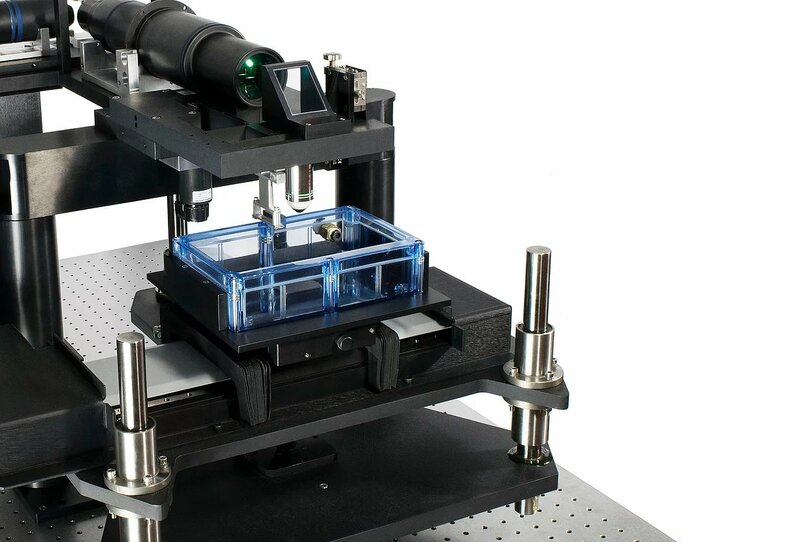 The sample holder can hold 2 slides at a time for more efficient workflow. The MVX10 Marco dissecting microscope with fluorescence and brightfield capabilities with a high NA for collecting high resolution images of weak signal. This system is equipped with an Olympus DP80 camera that has the ability to switch between RGB color and monochorme imaging. The images are captured using CellSens software. CellSens has the ability to manually stitch large sections. Magnification of 0.63x -126x.